It hasn’t been a great year for the Ford Mustang or the Chevrolet Camaro with both of those Detroit muscle cars posting an overall decline in sales through the first ten months of 2013 but Ford Motor Company is still hoping that Mustang sales numbers will stay strong enough through the 4th quarter of the year to knock the Camaro out of the top spot in muscle car sales. Since being introduced for the 2010 model year, the Camaro has claimed the annual sales title three straight times and with a hefty lead coming into October – the Mustang really didn’t stand much chance of catching the Camaro. However, with strong sales numbers in October, the Ford Mustang was able to claim its 3rd monthly muscle car sales title of 2013 and close the gap a bit between itself and the Chevrolet Camaro in the annual sales race. With 6,918 units sold last month, the Mustang posted its 5th best sales month of the year which is a bit surprising as we head into the cold winter months that are typically worse for rear wheel drive sports cars. That figure was more than enough to comfortably beat the Camaro and Dodge Challenger in monthly sales and while the strong 10th stanza of 2013 allowed the Mustang to gain some ground on the Camaro – Ford will need to finish the year very strong to stop the Camaro from claiming its 4th straight sales title. 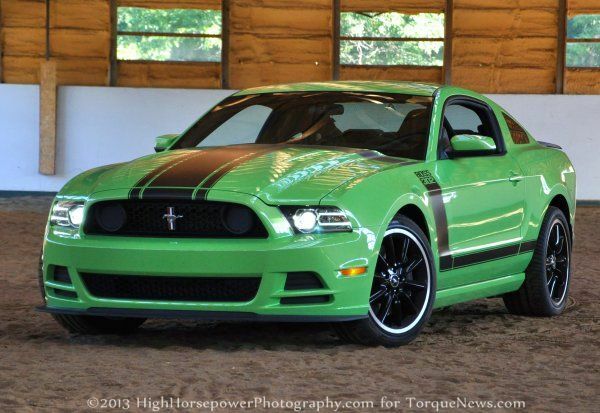 On the year, Ford has sold 66,083 copies of the Mustang; down 8.4% from the first ten months of 2012. While the Ford Mustang had one of its stronger months of 2013 in October, last month proved to be one of the worst months of the year for the Chevrolet Camaro. With “only” 5,669 Camaros sold in October, the Camaro did about 10% better than it did in October 2012 but it wasn’t anywhere near enough to keep up with the Mustang. This low sales figure is especially surprising considering that the 2014 Camaros have begun reaching dealerships around the year and with the refreshed exterior would generally come a jump in sales. Perhaps some consumers around the country are waiting for the 2014s to hit their local dealership but in any case, October wasn’t a great month for the Chevrolet Camaro. On the year, Chevrolet has sold 70,484 Camaro coupes and convertibles which allows GM to maintain a lead of 4,401 units over Ford’s Mustang in the run for the 2013 muscle car sales title. Finally, the Dodge Challenger posted its worst month of 2013 with only 3,256 units sold and due to this, the Challenger finished in its usual 3rd place in the monthly muscle car sales race while also losing some ground on the annual race. Realistically, the Challenger never poses much of a Challenge to either the Mustang or Camaro but with the brawny Mopar muscle car selling so well this year (with a handful of monthly and overall sales records), the Chrysler Group is probably a bit surprised to see the Challenger have such a rough October. Even though it was the worst month for the Challenger, that figure of 3,256 units sold still represents an increase of 21% compared to October 2012 and on the year – the Challenger has moved 45,833 units for an increase of 26%. Muscle car sales haven’t been fantastic this year but with a new Ford Mustang expected early next year followed by the next generation Chevrolet Camaro and Dodge Challenger within the next few years – sales numbers for the Detroit muscle cars could continue to grow over the coming year. I think muscle car sales would have been even higher if they were little more economical. The mileage is not very attractive for the average American. But I guess people who buy these cars don't worry about the MPG.